1) The main bearing and pinion bearing are refueled once per shift. 2) Pay the grease of the cylinder gear, and apply oil to each gear of each gear. 3) The oil tank of the reducer and the lower part of the gear housing, when oil is out and when oil is added. B. Regularly check the bolts of the lining bolts and other parts, and tighten them if necessary. C. Always check whether the lubrication and sealing parts meet the requirements, and if there is any abnormality, check it at any time. A. Minor maintenance: once a month. It is including temporary accident treatment, mainly minor changes. The emphasis is on the mesh condition of replacing vulnerable parts (such as lining) and adjusting barrel gear. B. intermediate courses: once a year. Make large cleaning and adjustment of all parts of the equipment and replace a large number of vulnerable parts. C. Overhaul: in addition to minor repair tasks, mainly replace and repair major parts, such as big gear, etc. In order to improve the utilization of the large gear of the mill, the axial structure of the large gear is symmetrical. 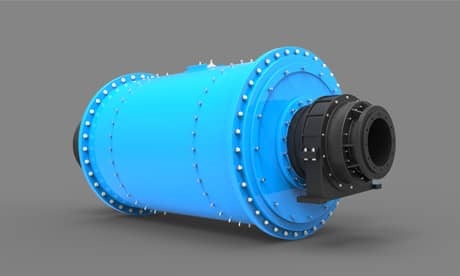 Therefore, when one side of the large gear is used and cannot be reused due to wear, the large gear can be removed from the mill cylinder and re-installed in the direction of 180°, so that the good tooth shape on the other side of the large gear can be used to continue jobs.